Si 204D-1 serial number 321251 emergency landed south of Køge 28/1 1944. 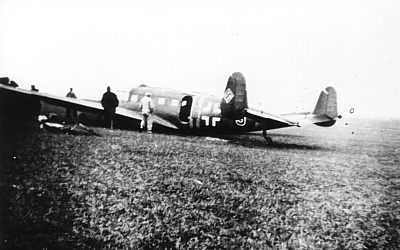 The aircraft belonged to Flugzeug Führer Schule B 34 and was coded BH+FS. The Si 204 belly landed near Vedskølle 5 kilometres south of Køge due to engine failure at 17:30 hours and was 20% damaged. After a couple of days the Si 204 was dismantled and taken to Fliegerhorst Kastrup. Sources: RL 2 III/778, LBUK.